A new herd of 37 plains bison now roams natural grassland roughly two kilometres from the Flying Dust First Nation townsite. 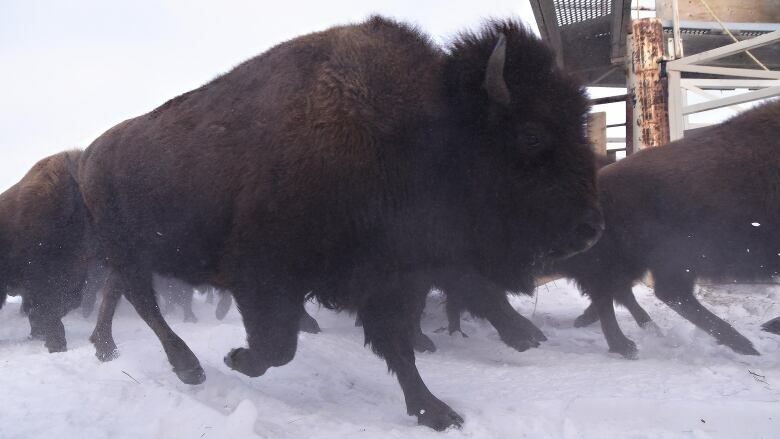 Most of the bison were transferred from Elk Island National Park to the Meadow Lake, Sask. area earlier this month.